Last week the Burke Scientists visited us again. They taught the children a lesson on speed. In this post you can see one child working on a speed vehicle. 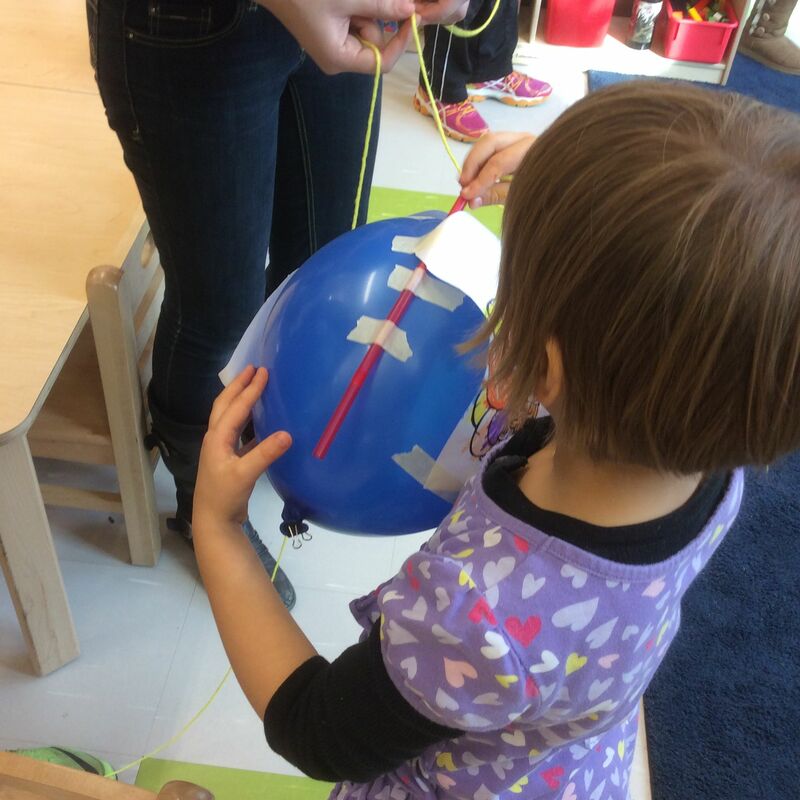 The children made traveling vehicles using balloons, straws, and string. The children raced their vehicles as provocation for more learning about speed.